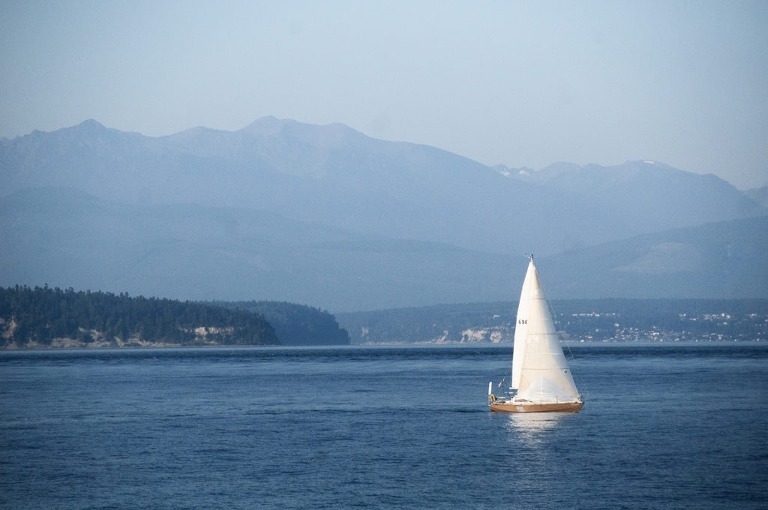 Seattle is a popular jumping off point for cruising to places farther afield, like Alaska, so, as such, many people stop there for a day or two, maybe less, en route. However, Seattle is, in its own right, a fantastic destination – especially if you’re a foodie, love quirky cities with personality, and being near the water and all things that go with it. Seattle is, of course, famous for all the things you’ve heard of – Pike Place Market where stalls selling seafood actually employee people to physically throw fish around, the First (sort of) Starbucks, the Space Needle, The Museum of Pop Culture, the Seattle Great Wheel, easy access to water and all the things that come with it (boats, fishing, fresh seafood, an Aquarium). But even more than those things, Seattle has a charm that deeper than surface level (straight through to the underground city that still exists and can be toured). From its historic roots that fan out from Pioneer Square, to its distinct Chinatown, to its giant (and let’s face it, kinda gross) wall of gum – there’s so much to see. Here’s a pretty thorough blog on Unique Things to do in Seattle if you’re looking to get out of the ordinary and one up on the touristy. 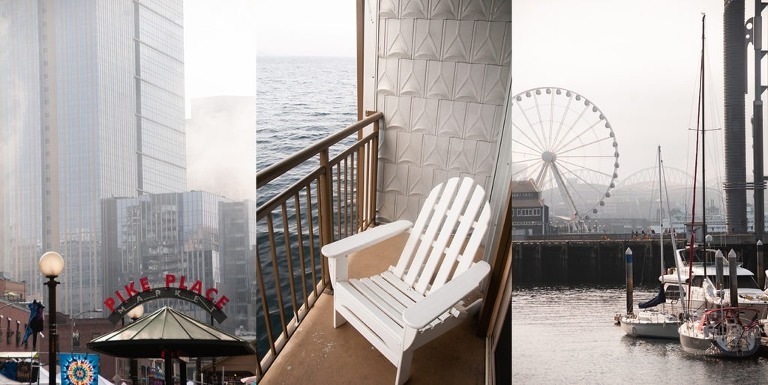 Don’t think for a second that you can see everything Seattle has to offer in one day, but definitely give it some time because it’s worth it, if even just for the food and water views! Stay on the Water: want to pretend you’re on a cruise ship without actually leaving port? Check out the waterfront rooms at the Edgewater Hotel. This higher-end hotel in the Noble House family was worth the price for the view and the amenities. They offered free bicycles for pedaling around the city (though be advised, Seattle lacks bike lanes and is full of drivers who don’t yield to bikers, and, also, hills…lots of hills.). The hotel is within easy access of downtown, has nightly entertainment, and the food at the hotel restaurant was good. If you’re a fan of music, this hotel also lays claim to multiple musicians having slept there, including most famously the Beatles on their first World Tour in 1964 (as such, you’ll see lots of Beatles-themed art, decor, and as a running thread in their entertainment on tap). Tour the Underground: if you’re into history, ghosts, and closed off places underground, this is the place for you. I invested the $20 to see what lay beneath the city’s most historic neighborhood and get a little history lesson in the process. Was it the most amazing thing I did in Seattle? Not really. But it checked a few boxes in terms of a) unique b) historical and c) relatively inexpensive. Two main companies offer these tours: Beneath the Streets and Seattle Underground. I went with Seattle Underground, but from all I can tell they are practically the same tour and depart and view pretty much the same areas (as the areas open to the public are very limited for safety reasons). 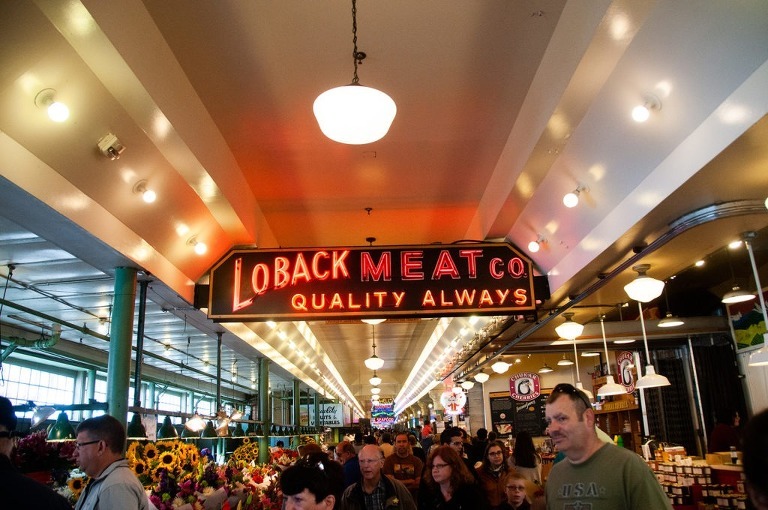 Do a Food Tour of Pike Place Market: If you’re a consistent reader of my Travel with me Thursday blog (I hope you are!) you’ll notice I am a fan of food tours. I know, some people don’t like structure! I hear you! And some people think – I can eat all those same things myself and make my own choices! Yes! Yes, you can! But here’s why I like food tours. First, they typically include loads information about the local food, have relationships with the proprietors and help me see the connection of both to the community better than I could on my own in the same period of time. Second, Food Tours are typically led by a local who is chock full of other food and restaurant advice because, well, they’re experts in their field! So I like to ask questions about where else I shouldn’t miss eating while visiting. Third, the portions are manageable. This is the same reason why I like tapas and tasting menus and do not like buffets. On a food tour you can get a taste of everything without gorging yourself on anything. And if you love it, you can go back for more later! I typically do a food tour early on in the trip so that I can lay the groundwork for what else I might want to try, or what I might be fine with having checked off my list. And last, Food Tours typically do hit up the more popular food spots without you having to stand in long lines for the signature dishes that you’re not even sure will be worth it. There are a few purveyors of food tours out there, but I went with Seattle Bites. 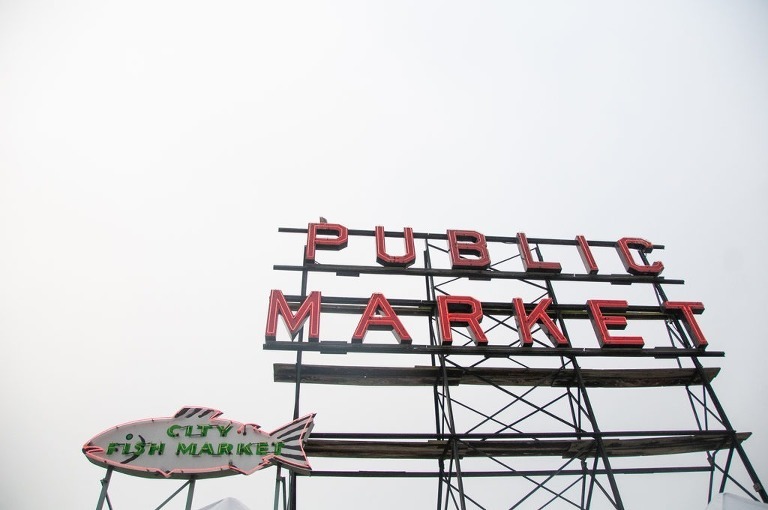 We tried fresh made sausage, delicious clam chowder, seafood, homemade yogurt, and so many other delicious things all within the Pike Place Market. Take a Pilgrimage to the “First” Starbucks: So, first, let me let you in on a little itty bitty secret. Starbucks first opened in Seattle, yes, in 1971. The “first” store is currently located near Pike Place Market but this is not the actual original location. It was moved from the original location to this location several years after it opened. However the very first location no longer exists, so for all intents and purposes, the Pike Place Market location is the historic epicenter of the origins of Starbucks and is dressed up as such. If you like saying “I’ve been there” then definitely go, but prepare to stand in a long line for the same cup of coffee you can get a lot more quickly from the 200 other Starbucks in Seattle (I am not sure of the exact number, but the stores certainly are everywhere, in some cases one is right across the street from another). Do a few of the Touristy things but a few not: as you know, when I travel I definitely do not shy away from some of the touristy things. I try to carefully curate the ones I really want to see – the ones that make the city special – but mix those in with other lesser known activities. While in Seattle, I absolutely knew that I wanted to visit the top of the Space Needle (the view was definitely the best in town), and also see the first Starbucks (see above) and Pike Place Market (also above). With those things checked off the list, the rest was up to the whim and fancy of the day. One activity I didn’t plan for was the Pop Culture Museum. This was something I didn’t even know existed but spent some time doing. If you’re a musician, love music, or really love what music is to Seattle (think grunge band history), then this is a pretty cool stop. Also excellent for rainy days (which Seattle does get) and for architecture-lovers (the building that housed the museum was super interesting). All told, Seattle was absolutely beautiful, worth visiting, and worth visiting again.